Absolute Powerpop: Last Post of 2011. Trolley-Things That Shine and Glow. This Milwaukee band has kicked around since 1995, playing by South by Southwest and the International Pop Overthrow. Things That Shine and Glow is their latest, and it's an excellent pastiche of 60s and 70s sounds. 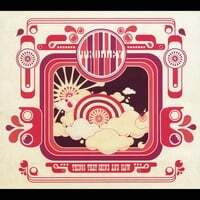 Most every track here is quite good, but the real highlights are "My Obsession", which sounds like a harder-rocking Grass Roots; "The Calico Cat", a frenetic psych-rock number that wouldn't sound out of place on a Future Clouds and Radar disc; and the pensive title track which features a transcendent chorus. This is really well-done and there's a hint of The Red Button in here in that it's retro but not slavishly so. 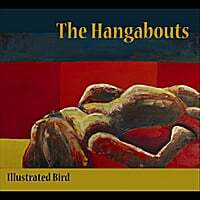 The Hangabouts-Illustrated Bird. Continuing today's retro theme, here's the full-length debut from Michigan band The Hangabouts. Unlike the Nuggets-inspired sound of Trolley, The Hangabouts are more Merseyside-influenced with a softer pop sound. "Love Nothing" opens in this fashion, while "Doctor Dragon" has an early-to-mid-period Beatles feel. "November" is more bright pop that will leave a smile on your face, and "She Hates You" is what Lennon writing a McCartney song might sound like. Elsewhere, the early Byrds-influenced closer "I'll Get Over It" is another standout. A fine debut and fine evocation of the lighter pop of the 60s.